Beautiful Cabin Located in the Mountains of WV! You will adore this lovely mountain top cabin rental. Where upscale meets down to earth. Some people are lucky enough to find a place that captures their soul, now you are that lucky person! Come to Above Sleepy Hollow and stay at this gorgeous cabin and we will help you remember the simple pleasures of life. Whether looking to have a romantic getaway for two or make family memories we have the perfect Sleepy Creek Mountain Cabin for you! Above Sleepy Hollow offers a variety of amenities such as: breathtaking Mountain Views, pristine community lake about 1 mile from the cabin, indoor wood burning stove and outdoor campfire ring, internet service, flat panel TV with satellite, hot tub, and much more. This cabin is fully equipped and is waiting for you! 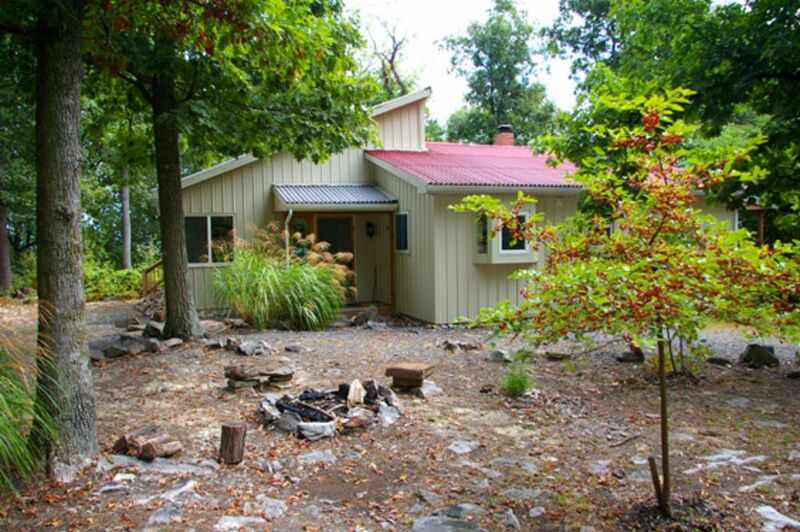 Berkeley Springs Cottage Rentals is a family owned and operated business. We are committed to providing the highest possible lodging standard and superior customer service. We look forward to your visit and sharing with you scenic mountain sights, adventurous outdoor activities, amazing spa services and terrific quaint owner operated shops and restaurants in our charming community. We are your vacation solution! We chose to become small business entrepreneurs and offer quality lodging options in the surrounding scenic Berkeley Springs Area because the local residents are so friendly, the mountainous landscape is captivating and life moves at a slower pace where harmony and relaxation are an art. We offer a high standard of lodging at a value price and we are committed to offering friendly service and a wonderful vacation experience where you will return time and time again. You may wish to bring beach towels along for the hot tub! Great little house in the mountains! This is a great little house. It has a wood stove that works great and a hot tub with a great view of the sunrise. The kitchen is also fully stocked. What a great weekend!! It was our pleasure hosting you at Above Sleepy Hollow. Sounds like a perfect getaway with the hot tub and wood stove. We are glad that you had a great time. Please come back and visit us again. We appreciate your business. Isolated, quiet, great View, hot tub! This cabin is a bit of a sleeper, because it doesn't look like much from the outside. But it's quite comfortable and eclectic inside, and is perched on the wooded edge of a ridge overlooking a valley Far Below. Best of all, it feels relatively remote and isolated because it is at the end of the road in a thick Woods. We could barely see the nearest neighboring house, which was vacant during our stay so we never heard a peep. Never saw or heard one vehicle in 4 days. Highlights include looking at the stars from the hot tub, watching the gorgeous sunrise over the ridge on the other side of the valley, stoking the wood stove, having a campfire in the fire pit, and the biggest surprise of all, a heated concrete floor in the master bedroom and Hall which made going Barefoot on a cold winter morning delightful. The kitchen was extremely well-stocked including things like spices and Seasonings. We would have liked the hottub to be a little hotter, the warmest setting was 104 Fahrenheit but that probably was for safety and liability reasons. All together a very peaceful retreat, and so pleasant that we barely felt a need to leave the cabin and do anything else. However there is easy access, right outside the door, too a rough Jeep Trail that you can hike for many miles into the Sleepy Creek Wildlife Management Area. Did I mention the total silence throughout our entire stay over Christmas? Such a rare and hard-to-find pleasure. Great place. Easy to get to. Gorgeous starry nights and views from hot tub. Thank you Cullen for being our guest at Above Sleepy Hollow. It was our pleasure hosting you and your guests. We are happy that you had a good time and welcome you back anytime. This was a great little house that was clean and comfortable. It has a really nice wood stove a hot tub, a screened porch and a great sunrise view in the winter. The kitchen was also fully stocked. We look forward to visiting again. Stephanie the property manager was also very responsive and helpful. Thank you Stephanie! What a wonderful house in which to celebrate Thanksgiving! The house itself is very conveniently laid out, nicely decorated, and very comfortable. I loved the wood burning stove - so cozy! And the location/view was incredible. The moon was full and gorgeous, and the sunrises awesome. Being on top of the hill was great! Located in the Woods Resort, just a short drive from golfing and lake fun! Less than 20 minutes from historic Berkeley Springs, WV -- America's First Spa Town and one of the nation's top small art communities. Soak in the natural mineral springs and get that massage you've been wanting! Browse the antique shops and small quirky stores. Less than an hour from historic Shepherdstown, WV and about an hour from historic Harpers Ferry, WV.